Animal rescue is a noble calling: selfless work that demands sacrifice, countless hours and a significant budget, often filled with heartache and fewer happy endings than hoped for. Too often, however, those who work in animal rescue come to consider themselves nobility, dictating inflexible rules for adopters and neglecting the best interests of the animals because the rescuers have developed controlissues, ego and a sense of power. So-called adoption fees rival purchase prices charged by breeders; adoption contracts compete with mortgage applications in length and provisos. Rules and regulations imposed can preclude approval of prospective adoptions and personal opinions about re-homing can ncloud a rescuer’s vision about what constitutes a good home. This, in turn, can lead to a hoarding, not a rescuing situation. 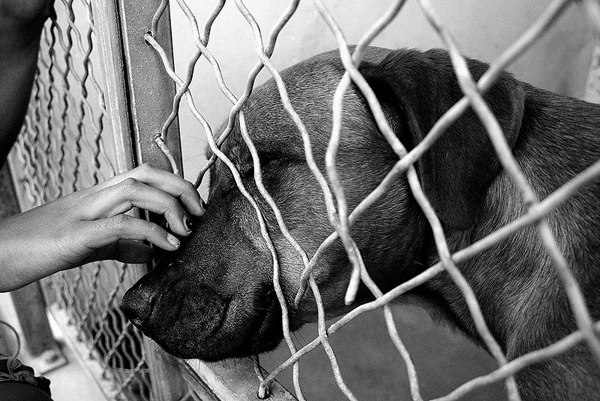 The purpose of rescue is to find good homes for the animals, but too often that purpose is obscured. In the end, the animals suffer because a potential adoptive family is turned away due to complicatedprocesses, exorbitant costs or overbearing, controlling rescues. Stories of rescue gone wrong are many, and exemplify the problem of an unregulated industry. Even if a rescue insists on an indoor life for a dog, it usually requires the adoptive home to have a fenced-in yard. One dog lover who applied to a retired greyhound rescue was rejected because his yard wasn’t big enough. “Paid thirty bucks for the application fee, only to get rejected because my backyard was not big enough,” he says. “My back yard is 1,000 square feet, but apparently that was not big enough.” Although he found the dog of his dreams in the rescue, he now says he’ll search the shelters instead of turning to another rescue. Sadly, not all dogs get the opportunity to live the life they were born to because many rescuers are unfamiliar with breed characteristics … even if their rescue specializes in that breed. One longtime volunteer foster “mom” for a white German Shepherd rescue denounced an adopter for using a dog to herd farm animals because she believed the only job they were intended to do was as police dogs, ignoring the word “shepherd” in the name of the breed. Complaints abound. “‘Rescue groups’” for specific breeds can have very high standards and make you sign a contract saying they can take the dog back if they feel you aren’t being a good owner,” says one person who had a bad experience with a rescue. Contracts between rescue groups and adopters typically include provisions prohibiting the adopter from selling or giving away the pet and a few rescue groups include a clause to maintain co-ownership. Some contracts provide access to the adopter’s property by rescue representatives to conduct inspections at any time, with or without notice. Almost all of them allow the rescue to take the animal if they deem conditions warrant it. Insisting the dog remain indoors is only one of the typical rules of rescue. They can also be fussy about who lives in the home: children and other pets can become issues that preclude adoption. Sometimes, as Larissa found out, having lost a pet can disqualify an applicant. Casually considering adding a puppy to her family, she and her husband took their three children to the Apple Fair in Hendricks County, where they fell in love with a pit bull. Because the dog had heartworms, there was no adoption fee. “The lady there was begging us to take her,” Larissa recalls. “I have a great vet, [so] my husband and I decided we would take her.” After taking a photo of the dog with her children, they instructed her where to pick up “Sweetheart” the following week once the dog had been vaccinated. However, days later she was informed that the dog was no longer eligible for adoption because of her condition. When she inquired about adopting a different dog, the director of adoptions informed her that by honestly answering a question on the application about an animal that had passed away in her care, she was not considered a responsible pet owner. The rescue did not conduct a home inspection or check her veterinary references. Perhaps the most difficult aspect is explaining to her children, who had been promised by the rescue workers that Sweetheart was theirs, why they weren’t getting the dog. “My two-year-old just doesn’t get it at all,” Larissa says, “but my nine-year-old took it the hardest.” Knowing that being honest on the application canceled the adoption, she feels guilty. “Had I lied, Sweetheart would be here in my home, getting health treatment and I wouldn’t have had to go through the emotional stress of being lied to and emotionally battered and having to tell my kids we aren’t getting the doggy. All she wanted, she says, was a “sweet large-breed dog.” Through with rescues, she is now planning to purchase a dog from a reputable breeder. Other rigid requirements for adoption include a veterinary reference, but that can be difficult for a first-time pet owner. David wrote on http://answers.yahoo.com/question/index?qid=20100525124841AARm3Xj that he was hoping to adopt a puppy from a rescue: breed didn’t matter. After filling out applications and paying a fee at two rescues, he was denied because he couldn’t provide the mandatory vet reference. “I’m completely put off from contacting any rescue group,” he says, “leaving me to neither wait for a pup to arrive at the local shelter or, groan, buy a pup from a pet store. The other side of the coin that gives rescue a bad name comes from rescuers so desperate to move animals out of their overcrowded living conditions that they deliberately misrepresent the facts in order to make them more appealing to potential adopters. One Indianapolis “rescue” posted an ad for a Great Pyrenees on Petfinder that indicated the dog got along well with others, despite being told by the previous owner and personally witnessing at their facility his aggression towards other dogs. Chelsea put the dog on a prey model raw diet, and within a few weeks the weak baby teeth had come out on their own and the plaque build-up was gone. The diet also helped with his skin. “His coat is now thick and shiny, and he is the epitome of a healthy dog,” she reports. The “good with cats” claim also proved to be misleading. Chelsea says she had to train the dog to play nicely with her cat. In addition, she says he doesn’t play well with dogs his size and that because he was “never taught bite inhibition and wants very much so to be as close to your face as possible,” she doesn’t consider him safe with children. “I’ve been working with him for almost a year with this, and it’s not easy to break with easily excited small dogs. As a result, I try to avoid situations with children. The rescue was clearly not honest about any of this. In all honesty, I felt like they were in a hurry to get rid of him. Rescue groups are not regulated so there’s no one ensuring they follow Animal Welfare laws or pay taxes. Since there is no licensing organization to oversee rescues, it’s important to verify the group’s claimsn and investigate their operation. One Indianapolis “rescue” claims to be a non-profit group, although the owners admit, when pressed on the issue, that they have yet to file any paperwork to acquire a 501c3 designation. Registered non-profit groups are listed on Guidestar.org. An adopter has to be careful that they are getting a dog from a reputable group. Ask questions. Do the rescue workers know the care requirements for the breed? Are the animals given play time outside the cage? Are they kept with other animals of their species? Do they have proper food and shelter? How long, on average, are the animals in foster care before they are rehomed? If you find that they spend years in foster care on a regular basis, walk away. Ask to see the contract before you provide your personal information on an application. Beware the “mandatory donation” in place of an adoption fee. Many backyard “rescues” are little more than hoarders, keeping too many animals confined in small spaces, dirty conditions, or caged all day. One Indianapolis “rescue” keeps cages of birds and rabbits stacked one on top of another in their garage. Always make sure that you nvisit the place where the animals are being housed and if anything seems out of place, walk away. Better yet, report them to an animal welfare agency. Any group who puts their needs or greed before the animals should not be dealt with. 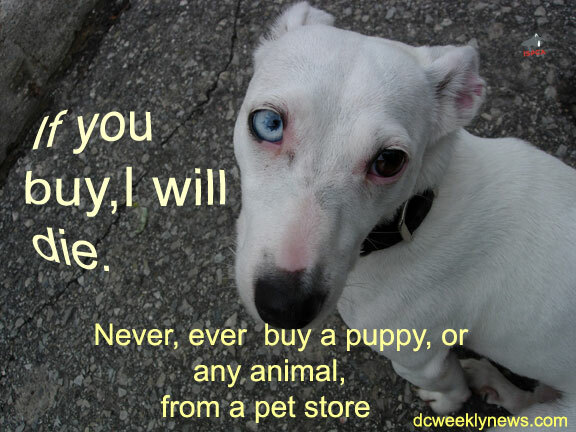 There’s nothing noble about neglecting an animal’s physical and emotional needs.